Inspired by memoirs-turned-movies like Cheryl Strayed's Wild and Bill Bryson's A Walk in the Woods, a growing number of people have become enamored with long-distance hiking. Instead, enthusiastic novices should get started on a less aggressive adventure. 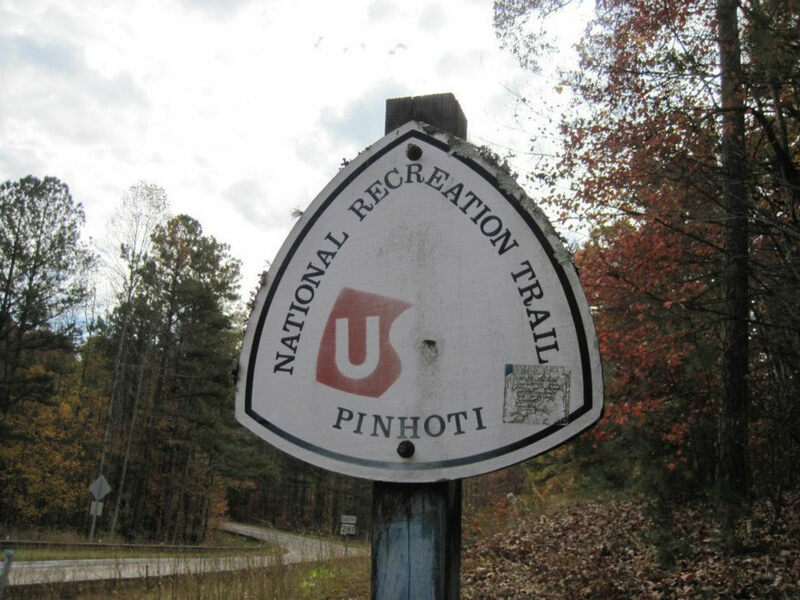 Fortunately for outdoor lovers in Alabama, the Pinhoti Trail, which stretches 171 miles across the state (and another 100 miles in Georgia), serves as a great testing ground for adventurers who want to build their thru-hiking skills. 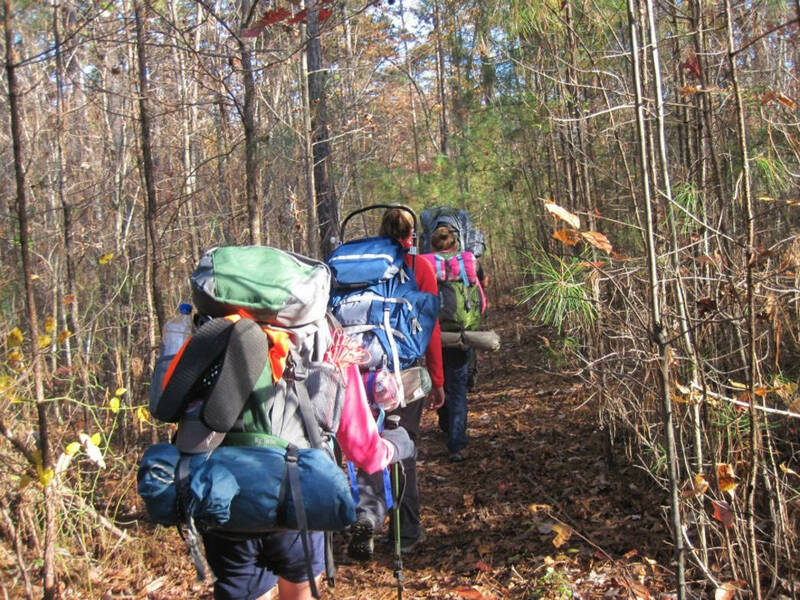 “A lot of people are using the Pinhoti to prep for an AT thru-hike,” says Callie Thornton, a Pinhoti Trail veteran who runs a hostel near the trail’s southern terminus in Alabama. 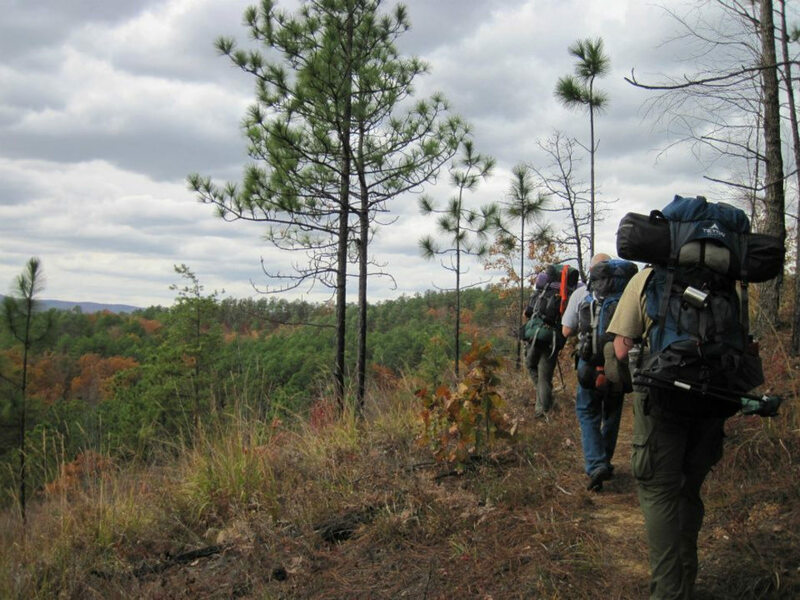 Because the Alabama Pinhoti passes through two wilderness areas, hikers get experience navigating through remote woods. However, civilization is often relatively close, so hikers can bail easily if things go awry. 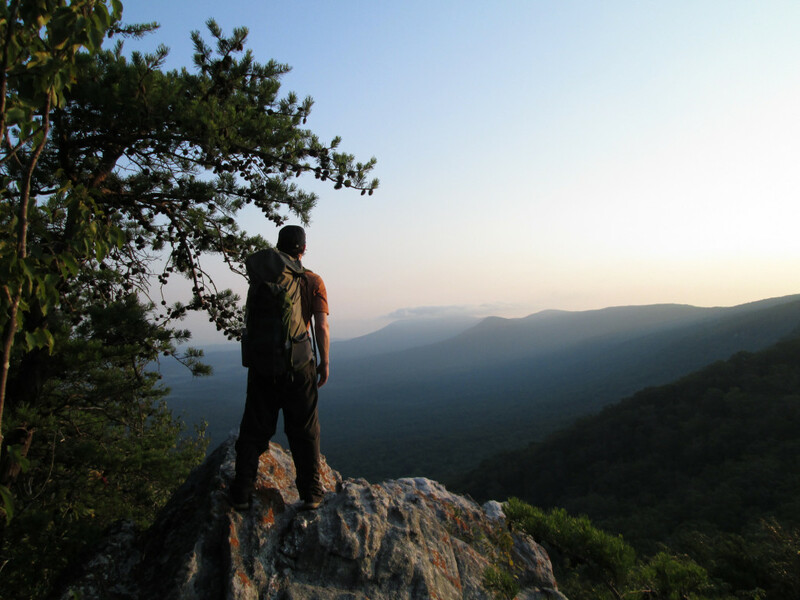 Plus, the Pinhoti offers a good mix of difficult terrain, so people get a taste of what it’s like to face day after day of hiking while battling fatigue, isolation, and other challenges of wilderness excursions. Finally, a shorter thru-hike like the Pinhoti requires less planning, and hikers can gain valuable experience without investing significant time and money. Interested in tackling the Pinhoti? Take a look at these insider tips from trail veterans as you plan your adventure. 1. Allow two to three weeks for the hike. While it’s possible to follow the Pinhoti Trail from Alabama to the mountains of north Georgia, hikers with less experience should first tackle the Alabama portion of the trail, which takes two to three weeks. With this hike, people have plenty of time to evaluate their gear and gain experience, but they won’t get overwhelmed with logistics or physical challenges. 2. Plan a spring trip. The best time to hike the Pinhoti Trail is from the end of March to the end April. During this period, temperatures are typically mild, with highs in the 60s and 70s, and lows in the 50s and 60s. Also, the Pinhoti is especially attractive in April as wildflowers bloom all along the trail. Alternatively, if you want more views along the high ridges, you can travel in winter when the trees lose their leaves. 3. Do your homework at the Pinhoti Trail Alliance website. The Pinhoti Trail Alliance is home to the most extensive information about the trail and provides valuable trip-planning tools. On the site, you’ll find a data book with mileage markers for key locations, as well as maps, trail descriptions, hiking advice, and links to other resources. 4. Get in shape before your hike. While you won’t hike thousands of miles to complete the Pinhoti—and you certainly will develop muscles you didn't know you had, while likely also shedding some weight—you need to be in decent physical condition before embarking on the adventure. “The hiking is mostly moderate or strenuous,” says Ken Hyche, who helps lead Pinhoti hikes with the Sierra Club. A taste of what to expect: Between Porters Gap and Adams Gap, you’ll traverse 14 rock gardens, where it’s easy to twist an ankle in fields of unstable stone. When you leave Adams Gap and travel north toward Cheaha, the going gets tough as you make a steep ascent up boulders on the Stairway to Heaven. Also, the Pinhoti includes several mountain ascents where the trail rises abruptly, rather than following a gentle grade on switchbacks. The takeway from all that? If you’re a novice hiker, you’ll need to start training well in advance. Do practice hikes, working up to longer distances, and ideally, several overnight trips beforehand, to build up your endurance, strength, and cardiovascular fitness. And don’t forget to wear your backpack, packed with the same gear you’ll be using on your trip. 5. Choose your shelter wisely. At least a dozen shelters lie along the Pinhoti in Alabama, but there are stretches where you’ll need to pitch a tent, hammock, or rainfly. 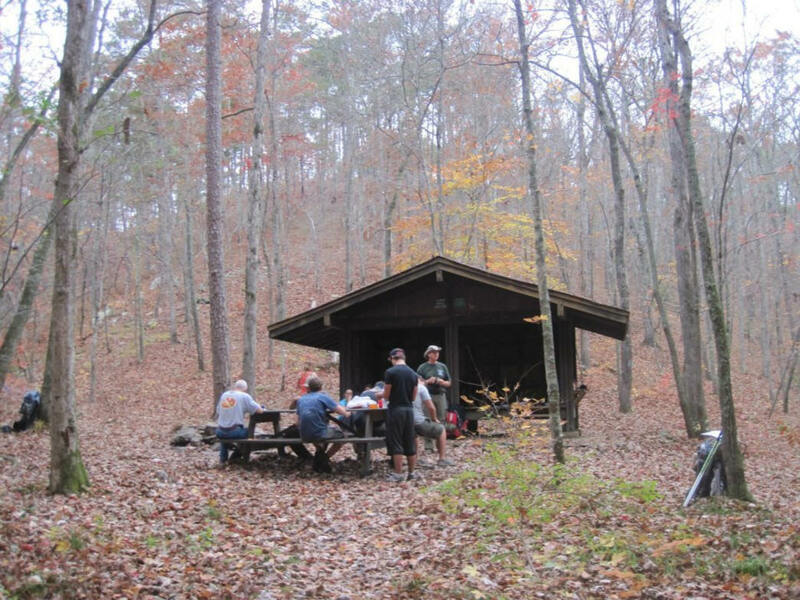 On the Pinhoti Trail Alliance website, you’ll find details about shelter locations. If you’re into hammock camping, you’ll find plenty of trees along the entire length of the trail. If you start your hike at the southern terminus, you can stay at the Coosa Hiker Hostel . Run by Thornton, who's a former president of the Alabama Hiking Trail Society, the hostel opened in January 2015 and includes four bunks, two full-sized beds, a shower, Wi-Fi, and plenty of tent sites. 6. Don’t worry about resupply mail drops. When people hike thousands of miles on long trails, they mail themselves resupply boxes to post offices along the way. But, the Alabama Pinhoti isn’t long enough to require mail drops, and you can get everything you need in towns along the trail. For example, near Porters Gap, you can exit the Pinhoti and travel a couple of miles on Alabama Highway 77 to reach Hogan’s Hunting Supply & Feed store, which has gear and food. Just be aware that resupply points are slim north of Cheaha, so you should arrange transportation to resupply in Oxford or Heflin. While you can call for a shuttle (see below), many people rely on a friend or family member to assist with resupply efforts. 7. Don’t forget about a ride back. If you need a ride between the trail and civilization, you can contact the Coosa Hiker Hostel for its shuttle service, which has a full-time driver. If you have an emergency, the shuttle can pick you up, but for other transportation needs, you should arrange rides well in advance of your hike. Also, the hostel shuttle will not arrange to pick you up at the end of your hike at the northern terminus of the Pinhoti in Alabama. (That's because in the case that a shuttle driver should fail to make the trip for any reason, a hiker would be stranded in a remote location.) Before you begin your hike, place a vehicle at the northern terminus trailhead on Forest Service Road 500, and get a ride to the southern terminus.